Physical abuse is hurting a child on purpose causing injuries such as burns, cuts, bruises and broken bones. Children who are physically abused suffer from violence such as being hit, kicked, burned, slapped or having items thrown at them. Hitting or shaking a baby could cause a non-accidental head injury. Parents and carers that physically abuse their children may make up or cause the symptoms of illness in their child by giving them medicine for instance which they don’t need to make the child unwell. When this occurs it is called Fabricated Illness. For more information on physical abuse please visit the NSPCC website. This is the physical ill treatment of an adult, which may or may not cause physical injury. not giving adequate food or drink. What does Physical Abuse look like? Anyone that suspects another professional or adult of abuse or neglect has a duty to refer it to the relevant employer or safeguarding agency to be investigated. 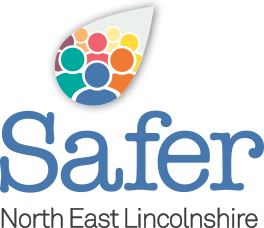 If you need to raise a Safeguarding Adults concern, please call 01472 256 256. This number is available 24 hours a day,365 days a year.